One of Britain’s premier show caves, discovered by miners in 1860. 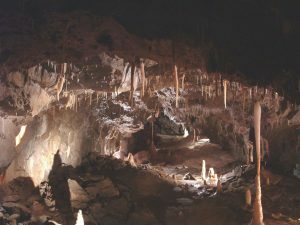 The extensive cave system is filled with complex and colourful stalactite and stalagmite formations dating back 200,000 years. There is also a lecture theatre showing a film about the cave and surrounding area, tearoom and gitftshop. Opening times: February half term to 30 November – daily 10am to 5.30pm (last admission 4.30pm). Please check website for winter opening times.